Before we talk about the Best Fiverr Gigs that will Save you Tons of Work and Time, you should know more about Fiverr and how it works , also you should know more about how to pick the good gigs and and how to avoid the bad and worthless gigs. Fiverr® is the world’s largest marketplace for professional and creative services and jobs starting at $5 , these Fiverr jobs and services are called Gigs. While in this article we will cover the Best Fiverr Gigs you can buy , you should also know that you can make money with Fiverr by selling your own professional and creative services on Fiverr. Why we use Fiverr and Why should you too ? We like to use Fiverr for certain tasks that we either can’t do ourselves, or would rather save the time & efforts and just delegate someone else , professional one, to do it for just 5 bucks. Always remember that your time is your most valuable asset. If you’re not great with code, why spend many hours trying to to fix a problem on your wordpress blog’s when you can have it done – by a super professional programmer- for just $5 ? If you are not an “art” person and you don’t know how to use Photoshop to make some catchy logo for your website or an infograph needed for your next viral article , why spend hours trying to do something you have no idea about while you can have it done- by a super professional geek- for some few bucks ? A Fiverr job or service offered on Fiverr is called a Gig®. Gigs on Fiverr are offered for a fixed, base price of $5 (also referred to as one Fiverr) , Each gig costs a minimum of $5, but can end up being more expensive if you buy extra gigs .Fiverr Extra gigs are services related to the main gigs you are interested in. So for example if you need a logo you may pay $5 for this job, but if you need this logo within 24 hours or if you need this logo with premium photo or you need a vector file or if you need any other special requirements, you’ll pay additional $5 or more. Only registered users may buy and sell on Fiverr, Signing up to Fiverr is free and can be done here. There are hundreds of Gigs in every Category on Fiverr , make sure you read and understand the Gig Description , details and any fine prints very well , you should know exactly what will you have from the gig provider (the service seller) for your Money. Make sure to check the gig’s review , and read the latest reviews , and the negative reviews , if there’s any , if you find a gig with thousands of Positive reviews , rating of 4.9 or 5, and few or non “Negative Reviews” , this is absolutely a recommended trusted gig. They are Top Rated Sellers for a reason!, thousands of people trusted their work and gave them positive reviews and high ratings ! Don’t expect to get the quality of a special $50 gig when you buy $5 gig ,it’s just impossible !, but luckily,most of the time , and for the everyday work , you will find a lot of fine $5 gigs and they will be more than enough for you. Contact the gig provider , make sure he is available and can finish your work in time , specify your exact needs in detaild organized points to make sure that the seller can do it as you wish , also ask for samples for their work. SEO , backlinks , social media bookmarking , wiki links, and similar gigs , some of them are not only useless, but they may do harm your website , they are very risky, and as a general role : Spending $5 on a SEO work and hundreds of backlinks and expecting great results is a waste of your money and time. Anything that you know can’t be done for $5, be real ! I will fix WordPress error, issue and customize theme. I will fix your WordPress CSS Issue. I will install, transfer, migrate, move or copy your WordPress site. I will fix any css or responsive issue in wordpress. I will increase wordpress speed and performance. I will write a 400 word Article ( #1 Content Service on Fiverr ) . I will write your About Us page for your website. 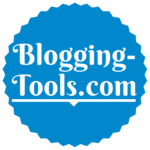 I will create 50 blog posts on a private blog network in 24 hours. I will write a 300 word article on health . I will write 100 words of website content . I will manually rewrite an article up to 500 words . I will manually rewrite your article up to 500 words . I will provide creative and engaging writing . I will provide topics and content for your health blog. I will write a 350 word article about fitness. I will rewrite ONE piece of up to 400 words. I will write ANY article for You. I will write SEO articles of 400 to 500 words. I will write 500 Words Quality SEO Article with 2 or 3 days. I will in 48 hours write 500 Words of Well Researched and SEO Optimized Content. I will write a quality article of 400 to 500 words. I will write 150 words of content for websites or blogs. I will do SEO article writing. I will write a Press Release . I will write a powerful press release. I will ghostwrite 500 words of fiction . I will write an Effective Sales SCRIPT for your business . I will write a Catchy Biography or BIO. I will proofread and edit your document, up to 5,000 words. I will professionally proofread and edit 1000 words. I will professionally proofread 1000 words. I will redesign your current ebook or text into a pdf ebook with awesome layout. I will proofread1500 words or more quickly and accurately. I will create Business Names Each with a Matching Domain avail . I will develop a top business name or tagline brand package . I will brainstorm AMAZING Business Name Ideas or Website Domain Names. I will copywrite you a POWERFUL headline and tagline or slogan for your business. I will design a highly conversion Landing Page . I will design your website with high quality. I will test your website from a users perspective and record it via screencast. I will be your Google Analytics Department. I will be your Google Tag Manager Department. I will install Google Tag Manager GTM and help in large scale migration of analytics. I will do powerpoint submission to 12 slide sharing sites. I will do a PDF submission to 15 document sharing sites. I will publish your content on Reddit with GOLD account. I will post a link to your website to Reddit with an established account. I will write a Facebook NEWSFEED Ad in 3 Days. I will upload video to YouTube, submit to 20 Social Bookmarking Sites. I will add your blog or website to my social media sites. I will provide Google Plus Likes Shares Comments. I will be your Facebook Advertising Specialist. I will advertise for YOU on my daily blog . I will do guest post on one of my blogs . I will write short but effective EMAILS for your email marketing campaign . I will provide you with 200 autoresponder messages for weight loss . I will design and code email marketing newsletter. I will create a full Seo Report for your website using IBP . I will do in depth SEO Keyword Research (1) . I will write an actionable SEO Report Plan to rank high on Google. I will do in depth SEO keyword research (2) . I will do Amazon Product Keyword and Competitor Research. I will create Awesome LOGO Design . I will make any kind of logo design . I will design an OUTSTANDING Logo . I will design 2 GREAT logo in 48hrs with free Vector file . I will design a killer logo. I will create an unique INFOGRAPHIC. I will design an unique infographic. I will create a professional infographic. I will create a Facebook Timeline Cover Photo Banner in 24hrs. I will create HEADER, banner, web cover, facebook twitter. I will design Header Image for Website or Blog . I will create a Twitter Background or YouTube Channel Art in 24hrs. I will design itunes Podcast Cover Art. I will do any graphic designs. I will draw a CHILDRENS illustration. I will vectorize, convert your logo or graphic into vector. I will make your CRISP favicon. I will design a FLAT icon. I will draw your POP Art portrait. I will adobe Photoshop edit , photo Retouching . I will do professional Photoshop editing. I will do 2 Facebook, YouTube, Website Banners in 48 hrs . I will design a PROFESSIONAL ad banner or header within 24 hours . I will design a Killer Ad Design For Advertising on Facebook Backpage, Cragslist or your website . I will make a mural of your logo, website url, on any wall, texture . I will do professional BANNER design. I will design High quality Animated Gif, Flash or a HTML5 banners. I will format ebook convert into epub or kindle publishing. I will design professional ebook covers 3D software product Boxes coupons cd dvd covers . I will design a PROFESSIONAL Book Cover within 24 hours. I will make you the best ebook cover . I will make you Cool Kindle or eBook Cover . I will create business card in 48 hrs . I will design professional Business Card . I will make stylish and professional BUSINESS card . I will design RESUME, Cv, Curriculum vitae or Cover Letter for you. I will design CV, Resume, Curriculum Vitae and Cover Letter. I will animate your Logo and it will come to life . I will do smoke logo reveal INTRO for Your channel. I will spray your message or Logo on the moon and capture video while flying past it. I will speed Paint your LOGO with any colors you need. I will create a book trailer video for authors . I will make this Google search animation promo. I will create an eye catching whiteboard animation digital hand drawn. I will create a Professional Whiteboard Animation Video. I will create a Whiteboard Animation. I will speed color your logo. I will provide professional video editing. I will professionally edit your video . I will professionally edit your videos . I will do professional video editing in next 24hr. I will create a professional SPOKESPERSON video. I will make a killer 1 minute video with your site url . I will be your website spokesperson . I will make a promotional video. I will record a natural video testimonial. I will be your Video Spokesperson. I will record any voice over, today. I will record a professional voice over for your project. I will record any professional male voice over TODAY. I will record a Professional American Male Voice Over. I will record a Pro Voiceover in a British or American accent. I will give you 60 instrumental beats for YouTube Videos. I will deliver over 500 DJ and celebrity drops, dj effects, loops, drum kits and sounds. I will give you 21 royalty free, 3 min music loops, with pdf rights. I will create a professional English to Spanish translation. I will translate English to Dutch. I will translate 700 words from Danish into English or English into Danish. I will translate up to 500 words into italian for you. I will design amazing UI for your iOS,Android,Windows app. I will promote your iOS, Android or Windows Phone app. I will convert your website into a cool ANDROID app, publish it on Google Play and more. I will convert your website into an ADVANCED iPhone and Android app. I will make you a BEAUTIFUL iPhone and iPad iOS apps. I will design Professional app ICON. I will design APP Icon. We have done almost all the hard work for you. All you need to do now is to Register on Fiverr and Select the Best Fiverr Gigs that will help you with your own projects. 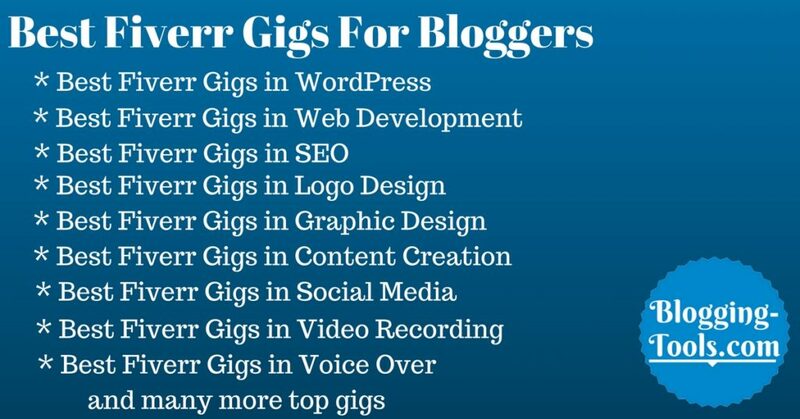 I’ve known about fiverr for a while, but had no clue that there was so much opportunity for bloggers!!! This is so cool because it means there’s area for me to make some extra cash. Thanks so much for posting this!!! I’d love to hear your tips on finding great freelancers on outsourcing platforms in general. I get about 50 applicants for every job, and by the time I’ve narrowed it down to one candidate, I haven’t really saved any time or money. I want to thank you for featuring my Facebook gig, I’m very honored. Here’s my tip for buyers, if you don’t know a seller, order his basic package, you can always upgrade later. Never ever make an order over $20 or some amount of money you’d hate to lose with someone you don’t trust. I’ve used Fiver few times and only once, the work was delivered extremely late with average quality. My usual gigs aren’t there anymore so hoping to find reliable good ones. So Thank You for this article, definitely helps big time! Amazing tips! I didn’t even know such a place existed until your post, this is awesome! Thank you so much for sharing. This is an interesting perspective for bloggers using Fiverr! I’ve never done anything there myself but it’s good to know how it can be used! I’ve never really known what Fiver was or how it worked so this is really helpful. I tried it once and had a very bad experience so will never go back! I ordered a cover for my book and was very disappointed with what was submitted! We went back and forth for 3 weeks! In the end I paid but never used it. I didn’t leave feedback either. I hate messing with someone’s livelihood too! I’ve never heard of Fiverr before, but it’s definitely a need concept and something I need to look more into! Thanks! I don’t think I’m quite ready to start picking up work through Fiverr, but I might use it in the future! I do need a new blog logo to unify my website, social media, press kit, etc. and this seems like a great way to get one more thing off my plate. I strongly recommend you to choose one of the above graphics gigs , all of the mentioned gigs in this article are selected based on very restricted standards . These are great tips! I just learned about Fiverr and suddenly I’m seeing it everywhere! It looks like it could be really useful if you go about it right. This is a very powerful resource. I haven’t used Fiverr in a while but now I will have to keep it in mind. Wow! I had no idea there were so many options with Fiverr. I just thought you could buy logos and basic digital art. Thanks for enlightening me. This is amazing. I had never thought about using Fiverr for my blog. Wow. This is the most in depth Fiverr list of gig ideas I’ve seen. Thanks for sharing. OMG — this is amazing. I’m such a fan of Fiverr, but have never seen it categorized like this. Sooooo helpful! This is such a great list. I love Fiverr! Wow, that’s some resourceful post of gigs on Fiverr. Me personally wouldn’t order something big in graphic design on it, since you usually get what you pay for, meaning there most probably is a difference in the design for 200$ and for 5$. In my opinion tho. But it is nice if you need something cheap to get you started. fiver is a good place to start if your on a she string budget. But you have to shop around for the best deal and some good work. I have used Fiverr and I agree most of them are OK. I would not recommend them to future clients. It is best to get a reference from someone you know and have used them. Wow, lots of great stuff in here. I have used Fivver in the past and most are okay, few are really awesome. I usually base my choice on their reviews and a number of reviews when I want to give someone a chance. Wow ! Thanks very much ! Really nice gigs to save me tons of time. I like them and I will surely make up my list before I start ordering. Thanks for your tips! Very helpful post. wow! This is really a great collection. Thank you so much.